When World War II came to America, baseball was one of the early victims. Many Major League players were in their early 20s and, therefore, subject to the draft. Ted Williams, for example, missed three seasons — 1943 to 1945 — due to military service. Then commissioner Kenesaw Mountain Landis wrote to President Franklin Delano Roosevelt to ask if the league should suspend operations altogether; FDR wrote a famous letter (here) giving the league the “green light” to continue playing. But with rosters tight, baseball had to find other avenues to stay in the public eye. In 1944, the Cincinnati Reds brought a 15 year old kid in to pitch (who, in the Reds’ defense, would later have a lengthy career). And most notably, the owner of the Cubs, Philip K. Wrigley (of chewing gum fame) started the All-American Girls Professional Baseball League in 1943. While many know about the AAGPBL due to the 1992 movie A League of Their Own, few realize that women played professional, minor league baseball until 1931. That year, a young woman named Jackie Mitchell ended women’s hopes of breaking into the big leagues. How? By striking out Babe Ruth. And, for good measure, she struck out Lou Gehrig too. 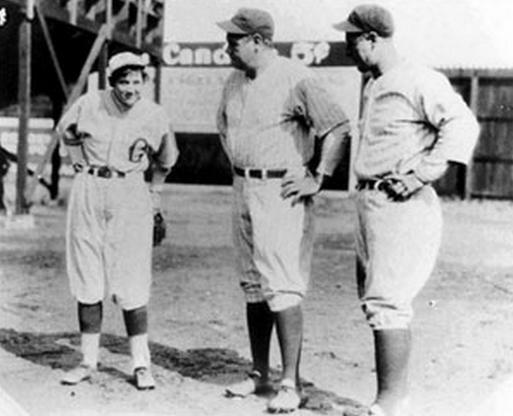 Ruth and Gehrig (pictured center and right, respectively, above) are widely regarded as two of the best batters in baseball history. Baseball Reference rates Ruth as the top batter of all time and places Gehrig number 11, and a casual poll of baseball fans would certainly yield similar results. In 1931, Ruth, then 36 years old and on the downside of his career, led the league in home runs with 46 — but it was a tie. The other guy to also hit 46 homers was Gehrig, a 28 year old first baseman, and Ruth’s teammate on the New York Yankees. In 1931, Jackie Mitchell (pictured left, above) was a 17 year old pitcher for the Chattanooga Lookouts, an AA team (the second best level of minor league teams) comprised almost entirely of men — Mitchell was an exception. On April 2nd of that year, the Lookouts played the Yankees in a pre-season exhibition. The Yankees got out to a great start, getting a double and a single from the first two batters, respectively. With Ruth coming up to the plate, the Lookouts manager made a quick call to the bullpen, bringing in Mitchell. While modern commissioners would probably note such an occurrence with wide-eyed optimism for an egalitarian future, then-commissioner Landis did the exact opposite. As noted by mental_floss (via CNN), “Landis was sufficiently threatened by the tiny female dynamo that he had her contract voided, stating that baseball was ‘too strenuous’ for women.” And that was a harbinger of things to come. In June of 1952, MLB officially barred its teams (and their minor league affiliates) from signing women to contracts, a ban which lasted until 1992, when the White Sox drafted a pitcher named Carey Schueler — the daughter of the team’s general manager. To date, no women have played in the Major Leagues. Bonus fact: While women baseball players have not made their way to the Major League field, they’ve bested their male counterparts at the box office. According to Box Office Mojo, A League of Their Own is the top grossing baseball movie ever, with a total domestic take of over $107 million. The movie easily outpaces the second-highest grossing baseball movie, Moneyball, which has earned just over $75 million to date to go with its six Academy Award nominations. From the Archives: The Babe’s Lost Homers: How good was Babe Ruth? 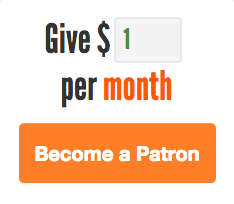 Better than you think. Related: A Chattanooga Lookouts baseball cap. Turn it backward and you’ll have eyes in the back of your head.